I got my Boxster about six months ago, and have been on the site nearly as long. I just registered now so I could post. 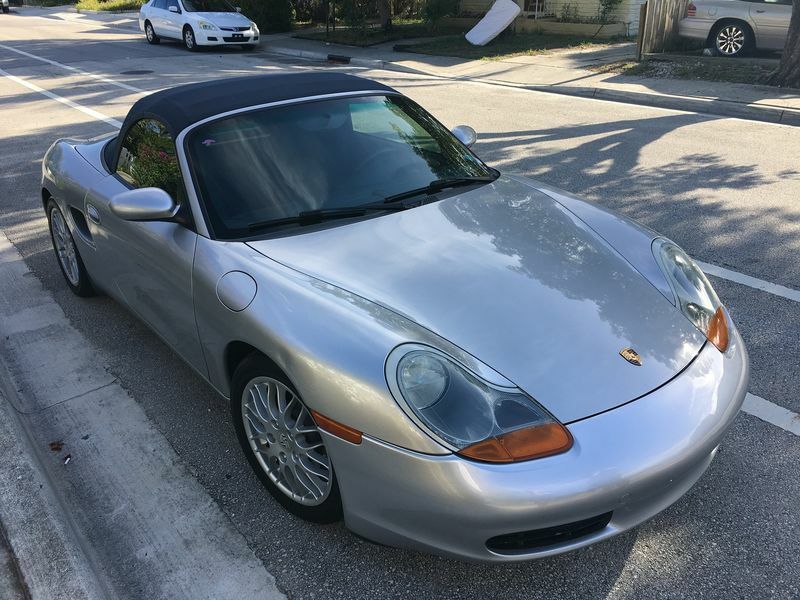 I have a 1999 silver Boxster with 59K miles I got from a neighbor. She was trading up to a 987, and I jokingly said 'let me know what they offer you for the trade in". She called me that afternoon and said it was $6K. I bought the car an hour later. It's in great shape, was maintained at the same shop since new by the first two owners. She told me I'd need to replace the AC soon, and she was right ($1200). I also replaced the driver window regulator, some small things like dome light and trunk struts, and last weekend I did the top because the plastic was opaque and the stitching was torn. That was a tough job, but thanks to the Roaring Tigers video I got it done. The passenger window regulator has been grinding, and last night it failed. I got it to the up position, but I don't think it will move again. I put an OEM regulator in the drivers side, but I'm going aftermarket with the passenger. Anyway, this site has been great helping me maintain the car and learn more about it. Congrats! Pretty car! I'm impressed you did the top yourself. I had mine done professionally. I do most work on my car myself, but that looked pretty difficult. Well done! I will never stop loving those Sport Classic rims, car looks great!